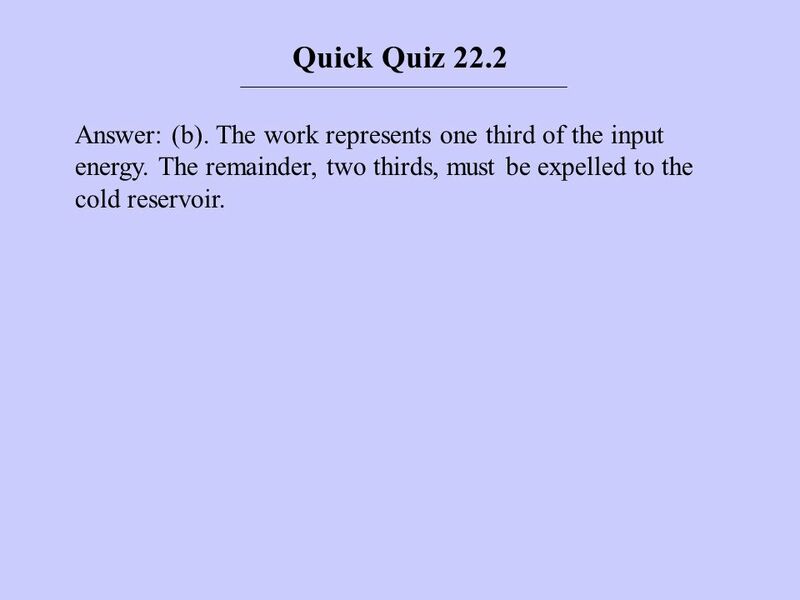 3 Quick Quiz 22.1 Answer: (c). Equation 22.2 gives this result directly. 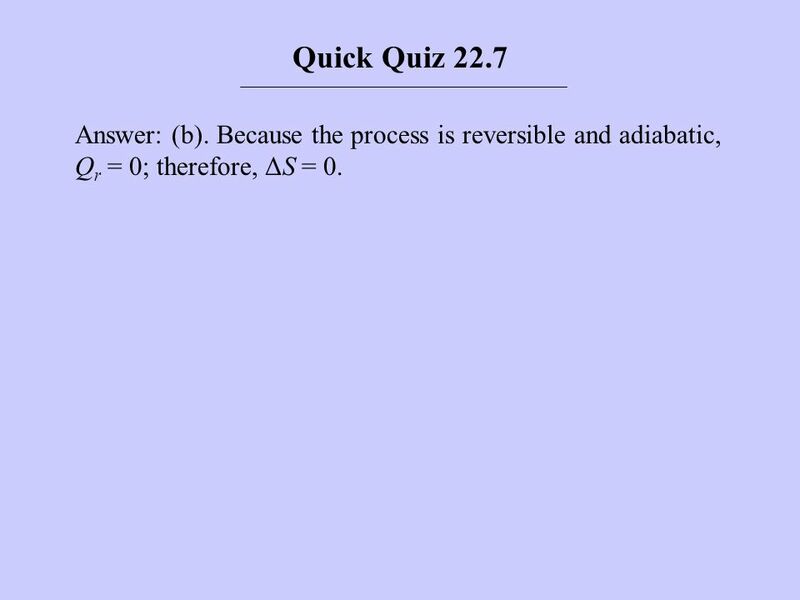 5 Quick Quiz 22.2 Answer: (b). The work represents one third of the input energy. The remainder, two thirds, must be expelled to the cold reservoir. 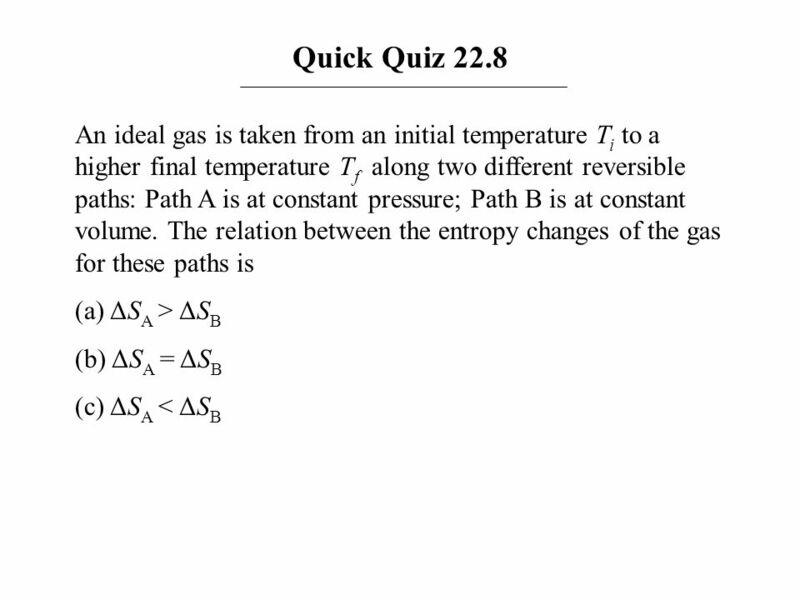 7 Quick Quiz 22.3 Answer: (d). The COP of 4.00 for the heat pump means that you are receiving four times as much energy as the energy entering by electrical transmission. 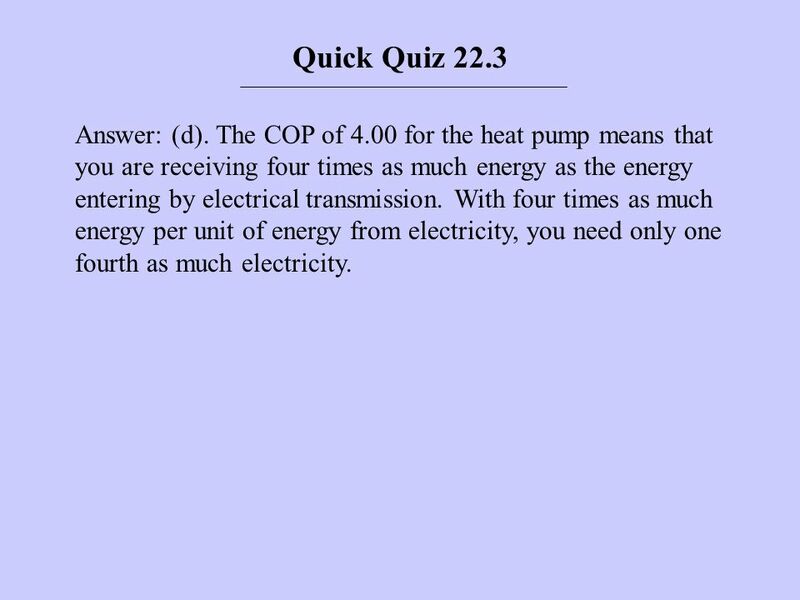 With four times as much energy per unit of energy from electricity, you need only one fourth as much electricity. 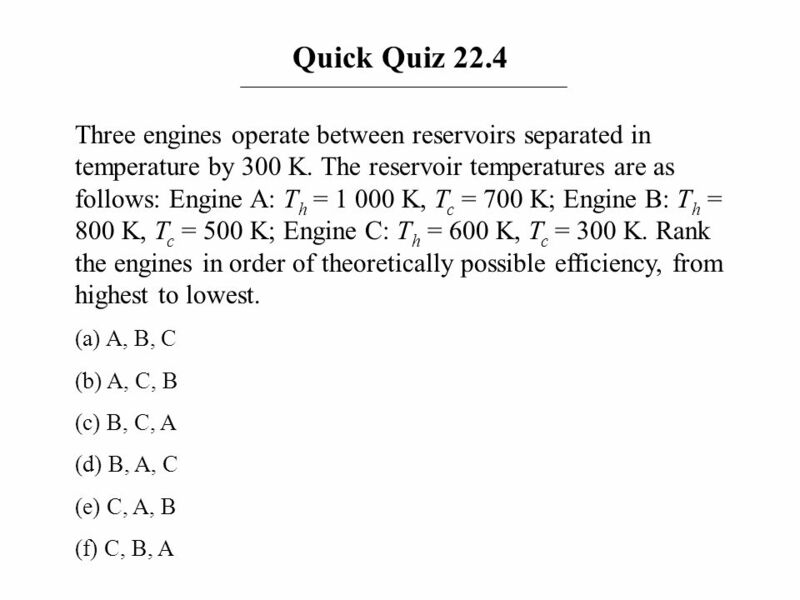 9 Quick Quiz 22.4 Answer: (f) C, B, A. 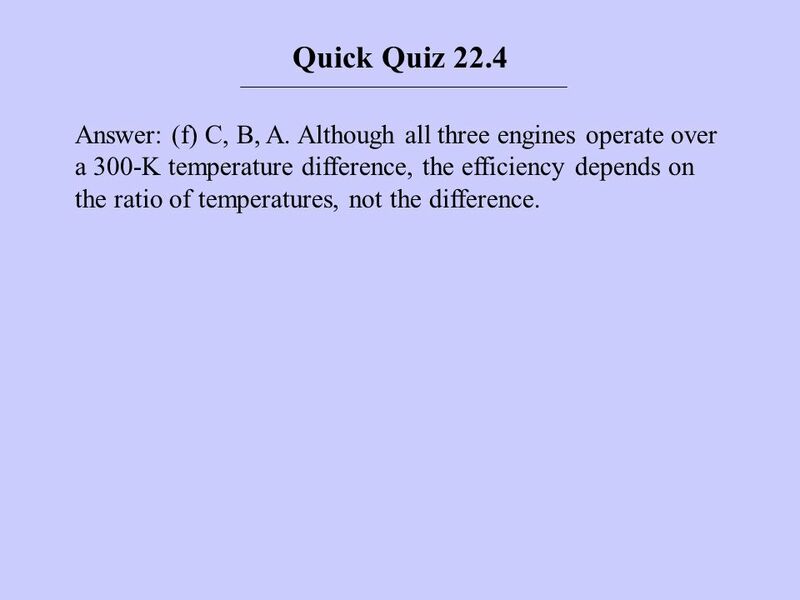 Although all three engines operate over a 300-K temperature difference, the efficiency depends on the ratio of temperatures, not the difference. 11 Quick Quiz 22.5 Answer: (a). 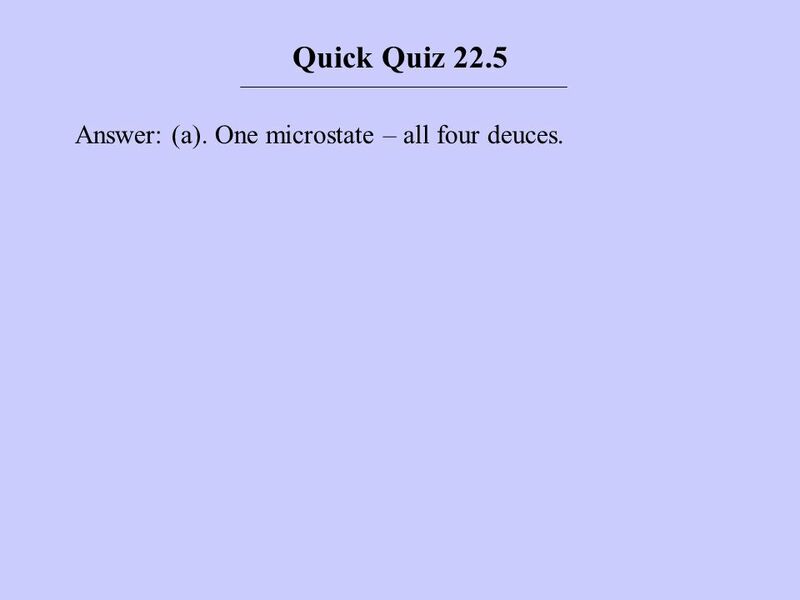 One microstate – all four deuces. 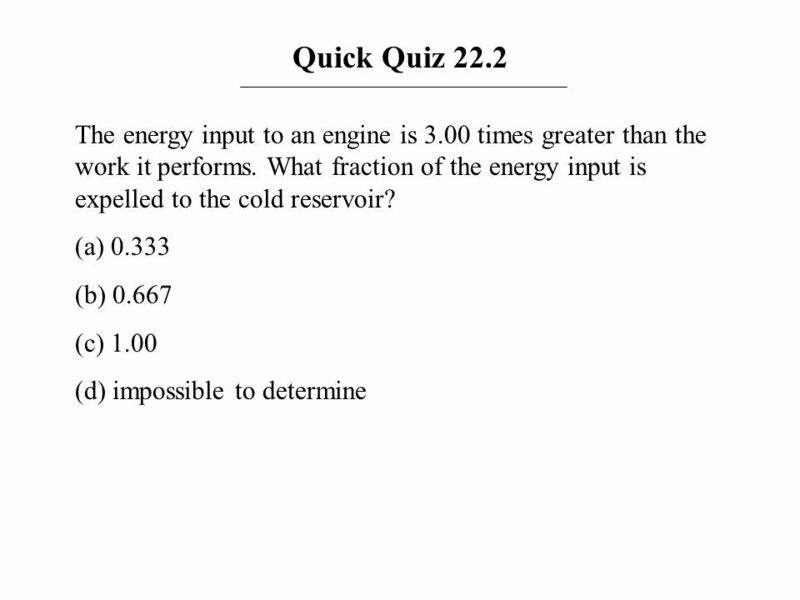 13 Quick Quiz 22.6 Answer: (d). 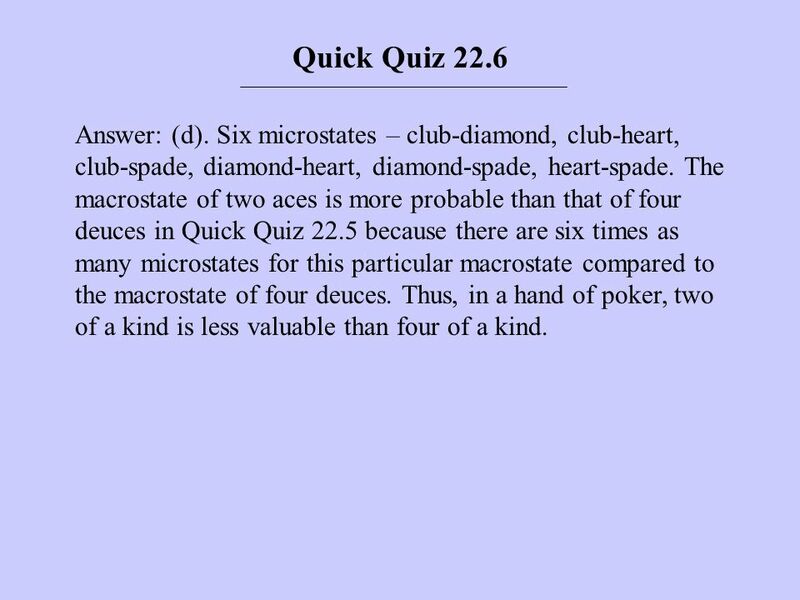 Six microstates – club-diamond, club-heart, club-spade, diamond-heart, diamond-spade, heart-spade. 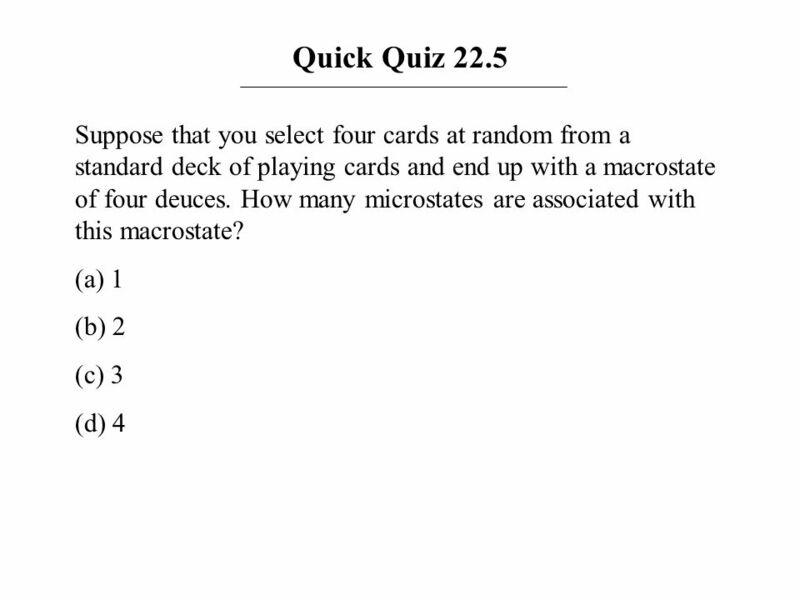 The macrostate of two aces is more probable than that of four deuces in Quick Quiz 22.5 because there are six times as many microstates for this particular macrostate compared to the macrostate of four deuces. Thus, in a hand of poker, two of a kind is less valuable than four of a kind. 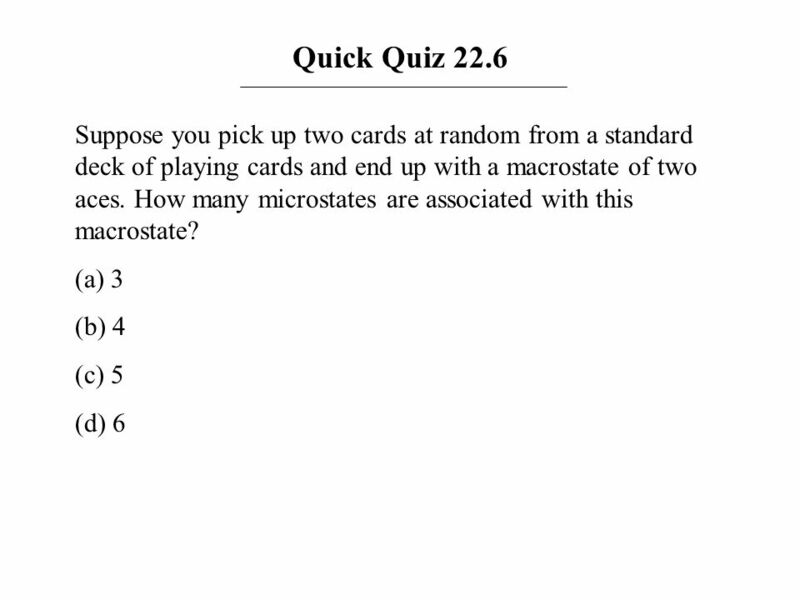 15 Quick Quiz 22.7 Answer: (b). 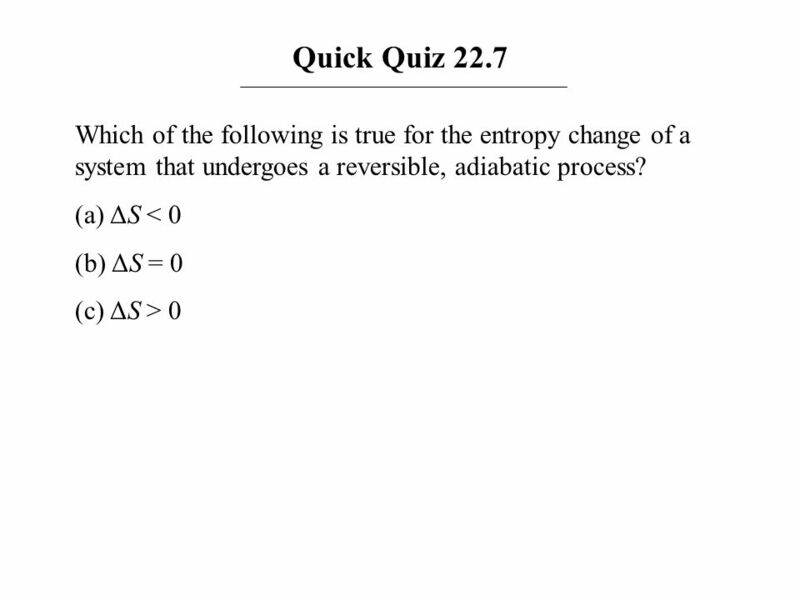 Because the process is reversible and adiabatic, Qr = 0; therefore, ΔS = 0. 17 Quick Quiz 22.8 Answer: (a). From the first law of thermodynamics, for these two reversible processes, Qr = ΔEint – W. During the constant-volume process, W = 0, while the work W is nonzero and negative during the constant-pressure expansion. Thus, Qr is larger for the constant-pressure process, leading to a larger value for the change in entropy. In terms of entropy as disorder, during the constant-pressure process, the gas must expand. The increase in volume results in more ways of locating the molecules of the gas in a container, resulting in a larger increase in entropy. 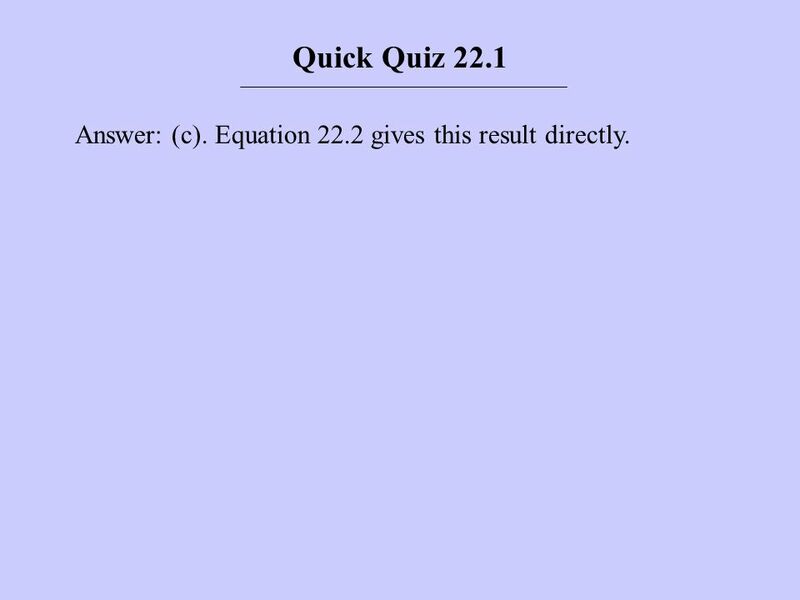 19 Quick Quiz 22.9 Answer: False. 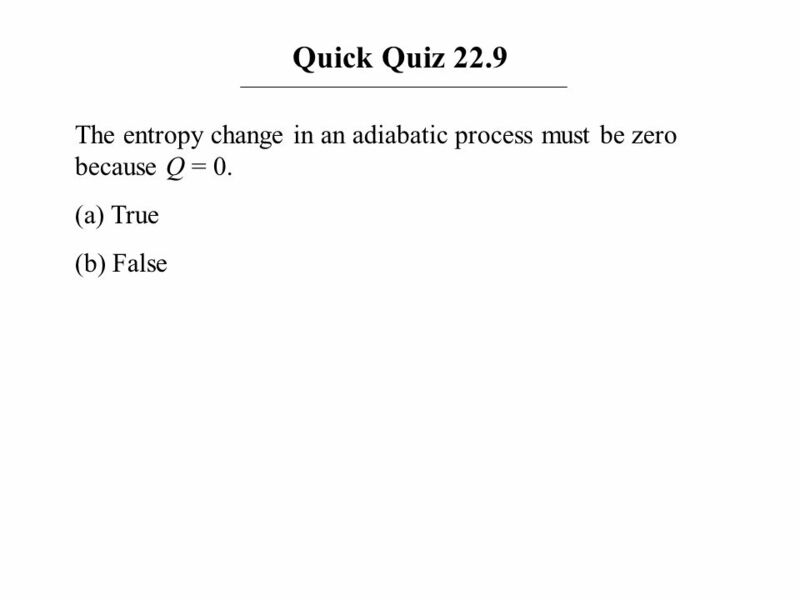 The determining factor for the entropy change is Qr, not Q. 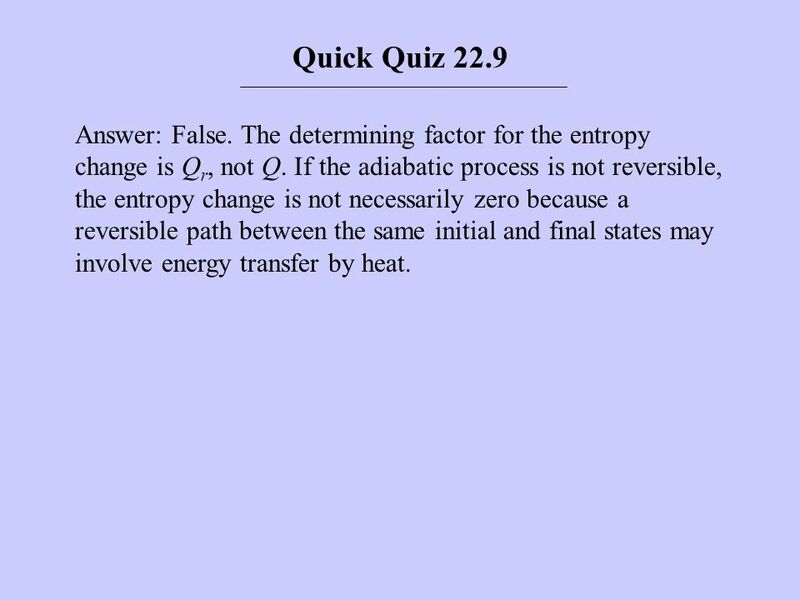 If the adiabatic process is not reversible, the entropy change is not necessarily zero because a reversible path between the same initial and final states may involve energy transfer by heat. 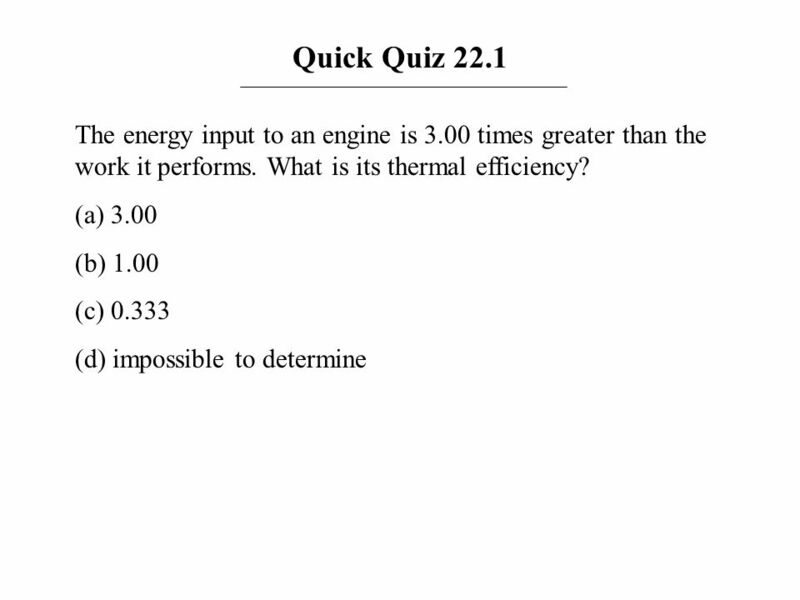 Download ppt "Heat Engines, Entropy, and the Second Law of Thermodynamics"
January 7 AP Physics. IN A gas follows the cycles shown. How much work is done? 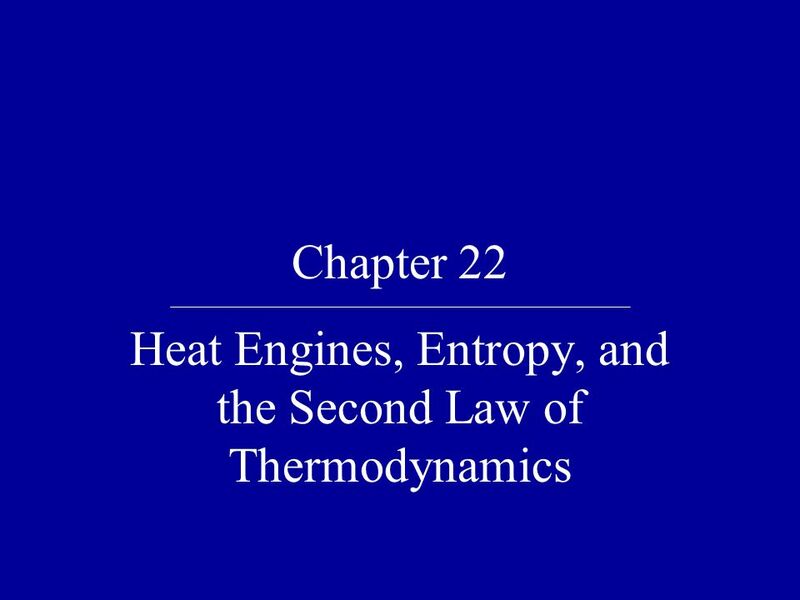 Chapter 12 The Laws of Thermodynamics. Work in a Gas Cylinder. VIII. Entropy for a reversible process at constant T dQ is path dependent dS is path independent S is function of state S is additive function for any. PHYSICS 231 INTRODUCTORY PHYSICS I Lecture 19. First Law of Thermodynamics Work done by/on a gas Last Lecture. Announcements 9/27/10 5 days left to get your clicker registered Exam review session: Thurs, 8-9:30 pm, room C460 Reading assignment for Wednesday: a.
PHY PHYSICS 231 Lecture 32: Entropy Remco Zegers Question hours: Thursday 12:00-13:00 & 17:15-18:15 Helproom “Another way of stating the Second Law. Announcements 9/26/11 Exam review session: Friday, 4 pm, room C460 Reading assignment for Wednesday: a. a.Section 22.8 – Especially read the marble example. Announcements 2/2/11 Exam review session (tentative): Friday, 3-4:30 pm a. a.I will send tomorrow with final date/time, and room location. (Vote. 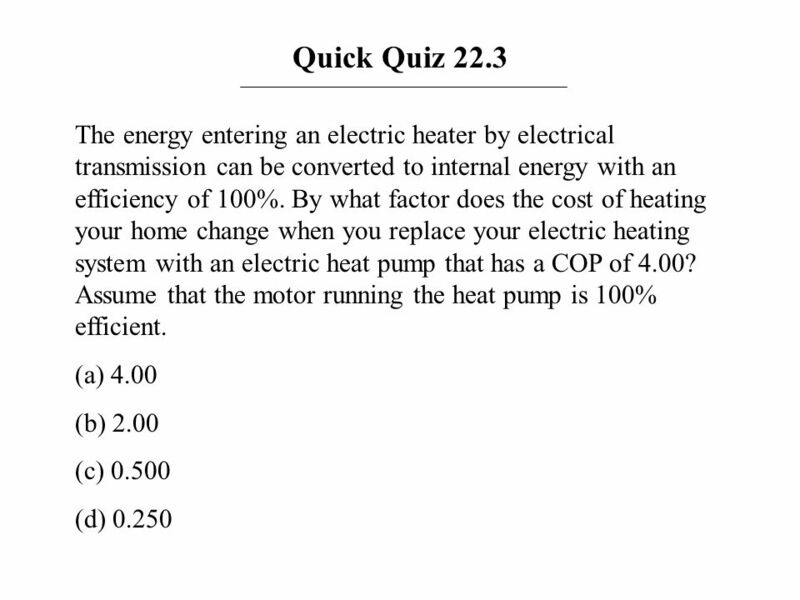 Laws of Thermodynamics Chapter 11 Physics Ms. Hanlin. 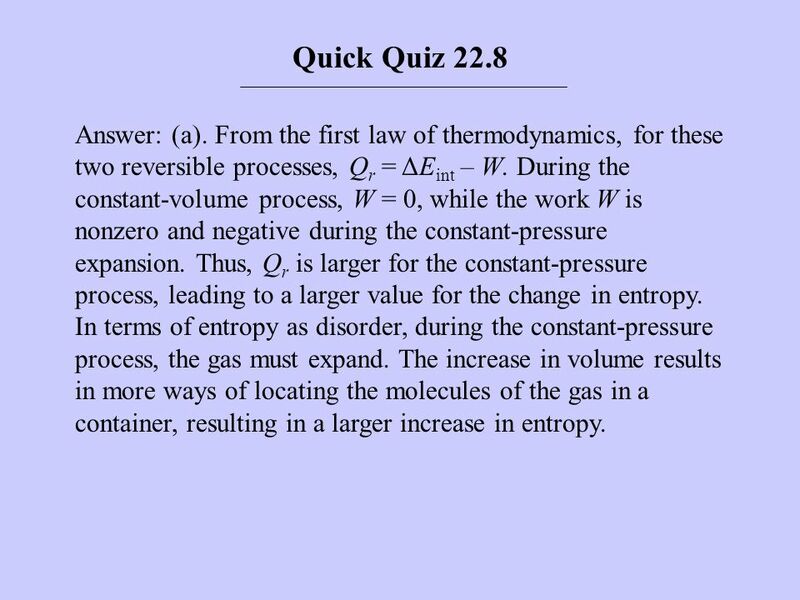 THE SECOND LAW OF THERMODYNAMICS Entropy. Entropy and the direction of time Microscopically the eqs. of physics are time reversible ie you can turn the.